NCObey will make Notification Center obey your will. Depending on where on the statusbar you begin dragging it, the corresponding tab will be opened. Start dragging on the far left to open the Today view; in the middle to open All view and so on. 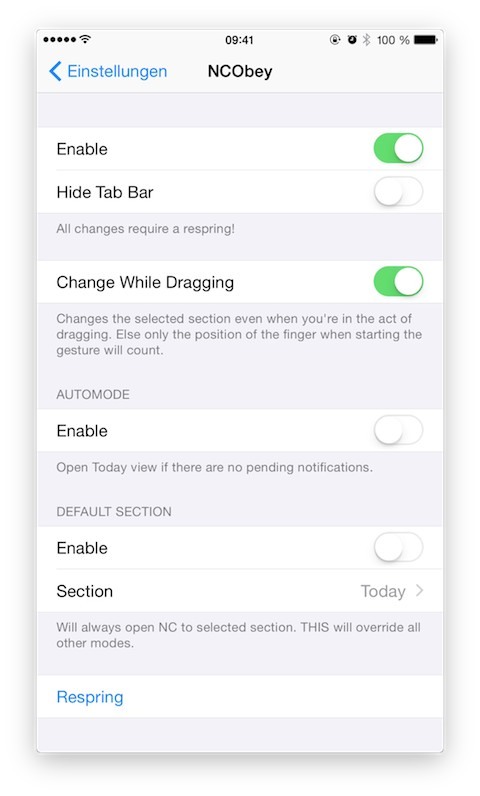 It also features a mode that always opens Notification Center to a default tab or one that always opens Today view if there are no pending notifications. Tested on iPhone 6+ running iOS 8.1."